In university, I studied a mix of Canadian foreign policy and Chinese politics. A few years had passed and the interest waned. During the 2015 Canadian federal election, as a way to keep engaged, I read all of the books written by the leaders of the major political parties. Stephen Harper had not written one, not about himself, at least, so I relied on Stephen Harper by John Ibbitson, and that book mentioned Engaging China: Myth, Aspiration, and Strategy in Canadian Policy from Trudeau to Harper by Paul Evans. I read both books, and in the latter, Evans noted the Canadian government's reliance on citing Canadian Communist Party Member and hero of the Chinese Communist Revolution Norman Bethune. 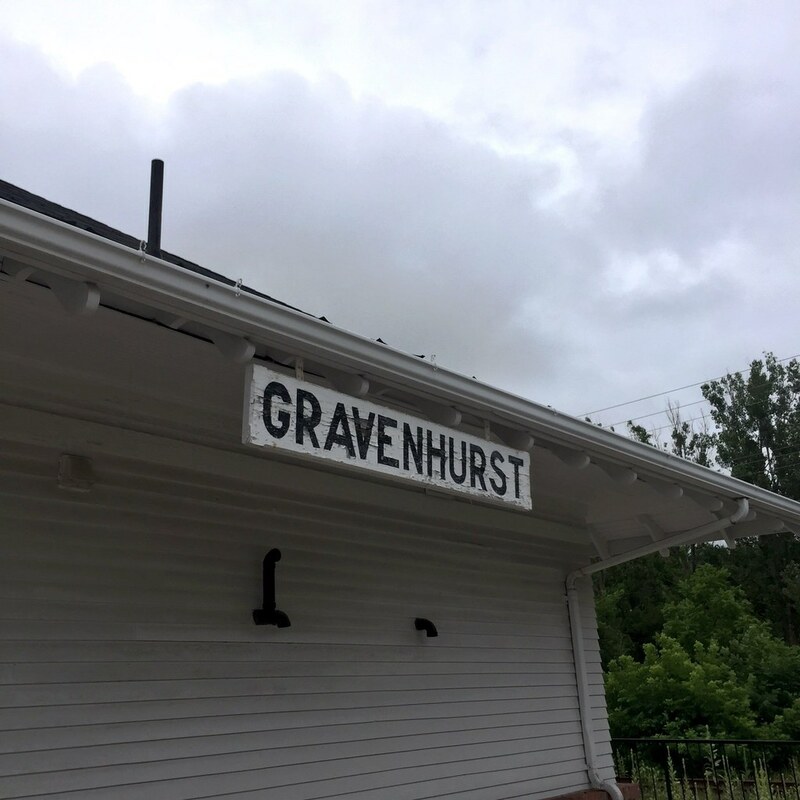 Almost as an aside, Evans mentioned that there was a museum and historical house dedicated to Bethune in Gravenhurst, Ontario. “Hey,” I thought, “wasn’t I moving to Toronto? Maybe I should look that up when I’m there and take a trip out there one day.” I had found the time to make a plan for the trip, consulting bus schedules, opening hours of the museum, but had yet to pick a day to go. Every year, my brother, father and nephew and I make a trip to America to watch the Blue Jays play on the road somewhere. Usually we had gone to Seattle, except this year, since I had to move away from Vancouver, this year we chose Oakland, California. Before that, a trip to Europe, a move to a new city, starting a new job with two weeks of onboarding in Boston and a final trip back to Vancouver before starting a new life in Toronto, combined with apartment hunting and an impending breakup with my longtime girlfriend, a minor detail slipped my mind: my passport expired in May. I found this out at the airport, so I had to cancel my trip to the Golden State. What better time to go to Muskoka country?! 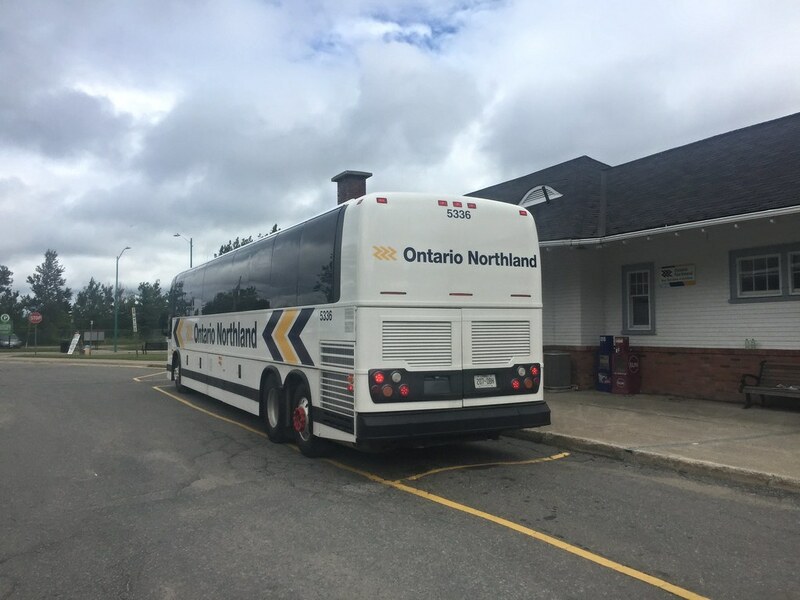 I set out on the Ontario Northland coach from Toronto, a 3-hour journey, with a single stop through Barrie on th poole express route. I arrived at noon at the “train station,” now serving as a coffee shop and rail museum. 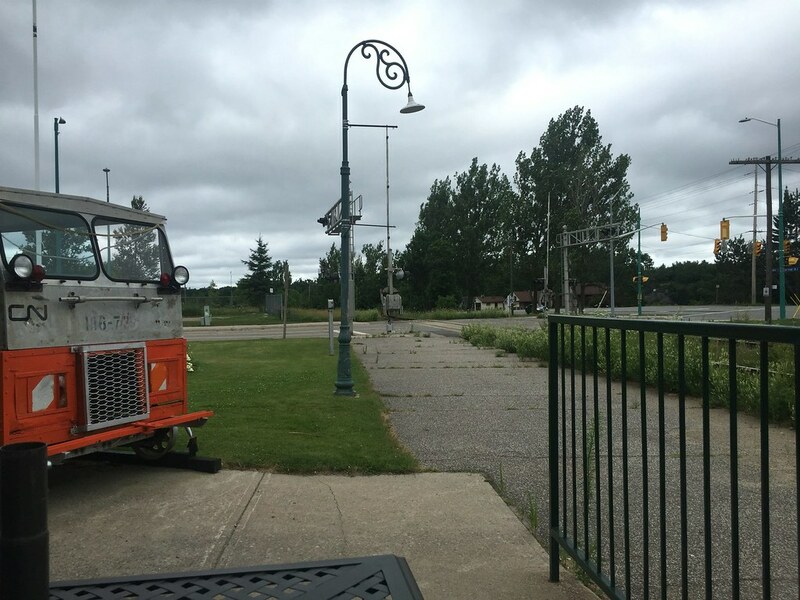 I ate a ham & cheese sandwich outside next to the railcar, hoping a train would pass by. A train would not pass by. While visiting the museum was my singular purpose for the trip, I had hoped to run into something pleasant and usual, something only a small town could offer. 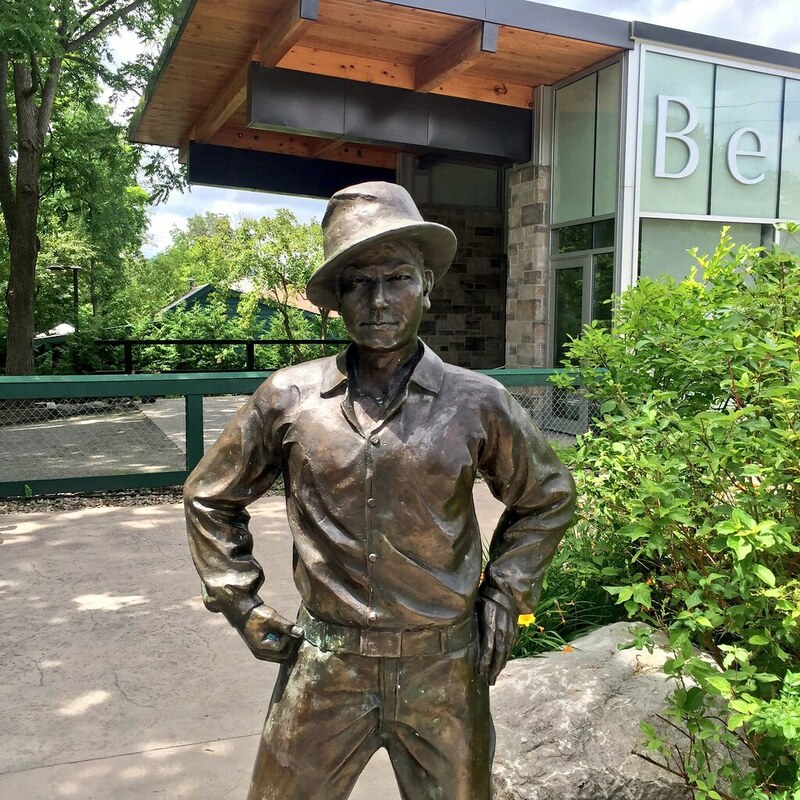 I had lots of time before the museum closed, so I walked down what I believed was the main drag, of course named Bethune Drive, and came across a bear unveiling. 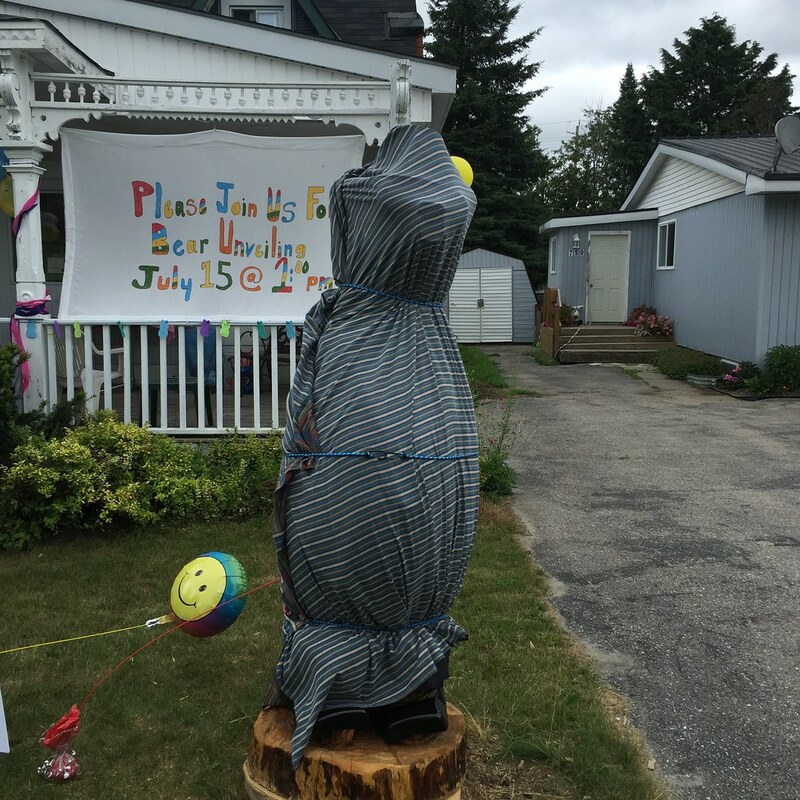 A bear unveiling? 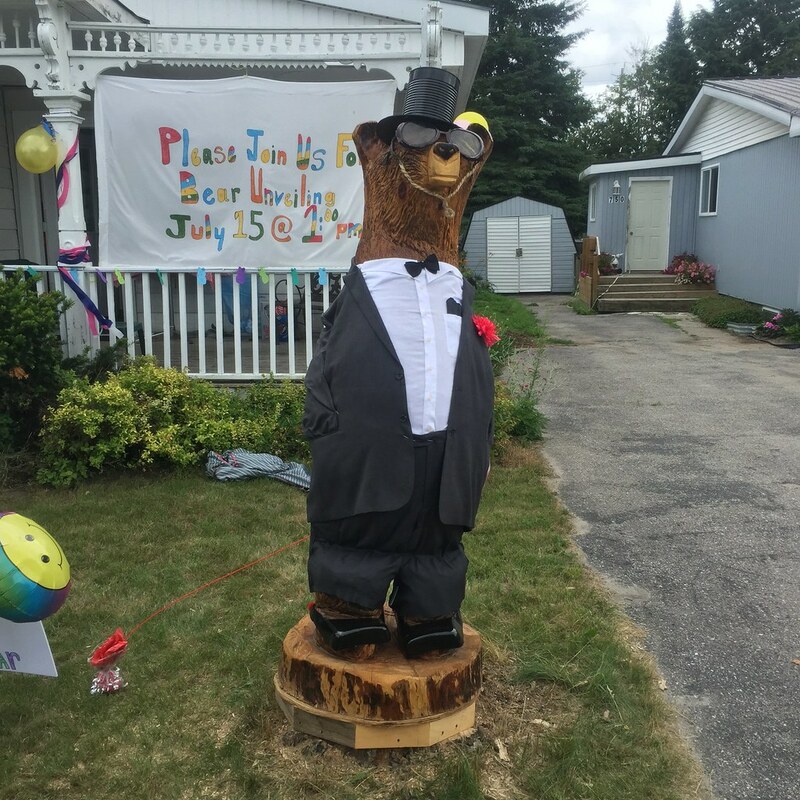 A group home long had a wooden bear statue in front of their building. Because it was built into the ground, roots had gotten their way in, and the statue eventually split and fell over. 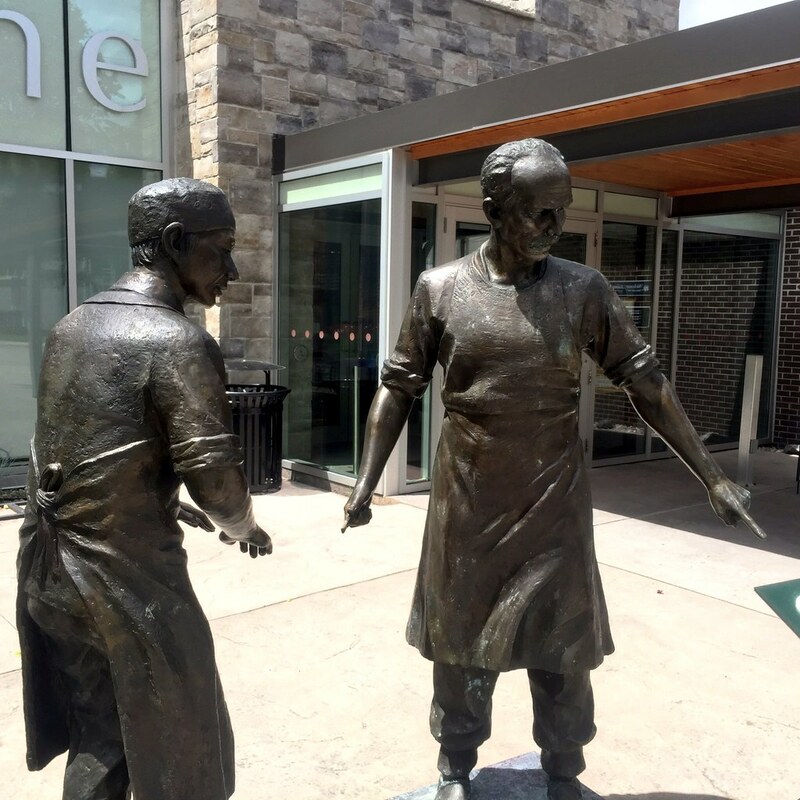 The community raised money for a new statue, and as luck would have it, Friday afternoon at 1 PM, they would unveil the newly carved statue. 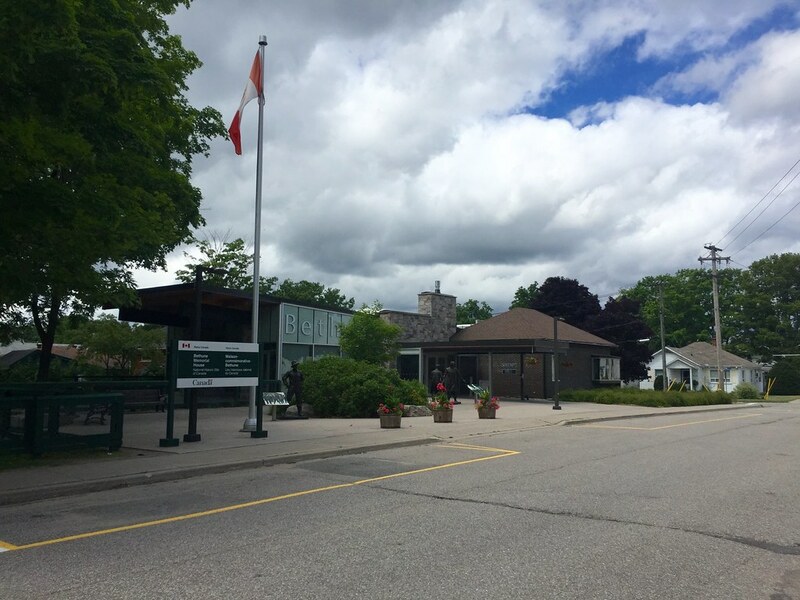 I had gotten there at 12:40, so I killed 20 minutes by walking to Gravenhurst’s gate. Returning just in time for the actual unveiling, I overheard the carver being interviewed for the Muskioka regional newspaper, and posed with my arm around the statue. I made my way to the museum and was impressed with its size. Inside were tributes to Bethune, in both English and Chinese. 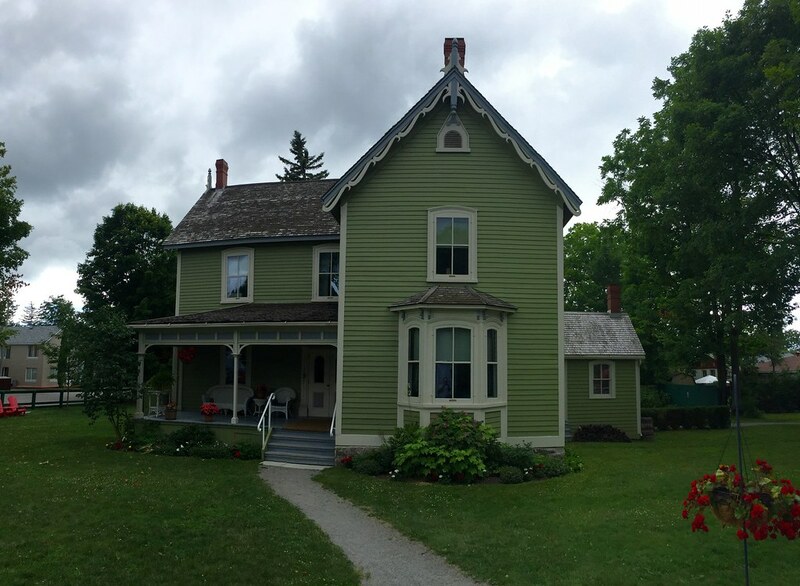 While in the memorial house, the tour guide told me that while the items in the house may not have belonged to the Bethunes, they were of the time he was born. The tour guide and I bonded over being white men who knew a little bit of Chinese andwho had visited China. I made my way up to the second floor, where I got to see a 10-minute video on Bethune and his trunk from the Spanish Civil War. 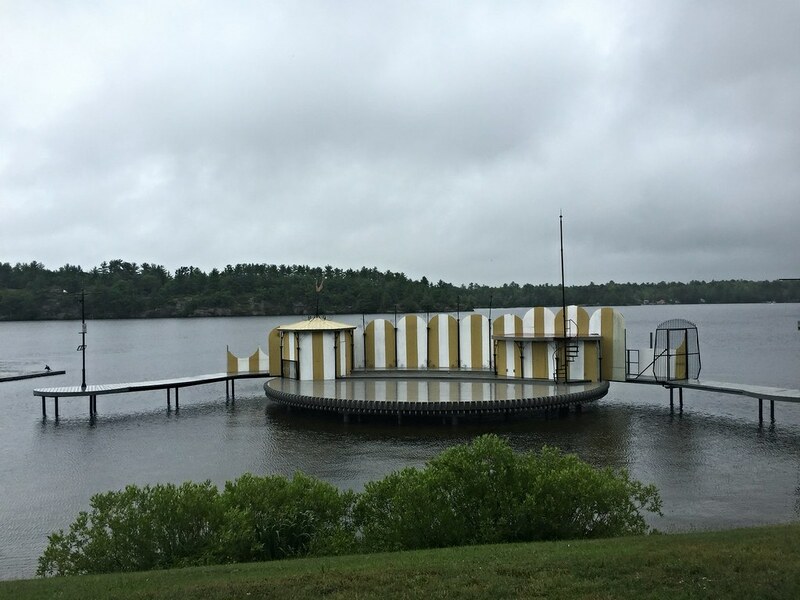 After the museum, I walked to Muskoka Lake. If I had known earlier that there were lake cruises on Lake Muskoka, I would have aimed for that. Maybe for the next trip! I then walked across town to Gull Lake, where I sat and admired the Cinema Under the Stars stage. There weren’t a lot of people in town, and the evening bus came after 6 PM, and there wasn't much to do to kill time besides play Ingress around the station. Still, I congratulated myself for a day trip well done. I can say I’ve been to the Muskoka region, and that everything more or less went according to plan.